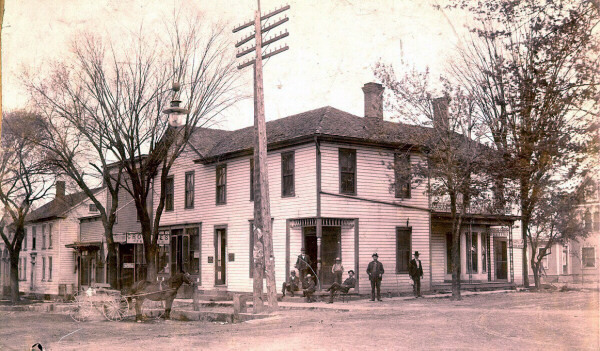 Sunbury Post Office was founded in 1817, one year after the founding of the town. Unfortunately the early history has been lost. Oatfield Whitney researched the history for Sunbury's Sesquicentennial in 1966. it was printed in Esther McCormick's book "Sunbury's Part in Ohio History." in 1861, Adaline Davis, known as Lizzie, began running the post office from her home at the northwest corner of Cherry Street and Vernon Street. Although she was seldom in the office, for the convenience of her patrons, a bell was on her desk would bring her quickly from the house along with the delicious smelling aroma of her dinners. Lizzie ran the post office for 32 years. 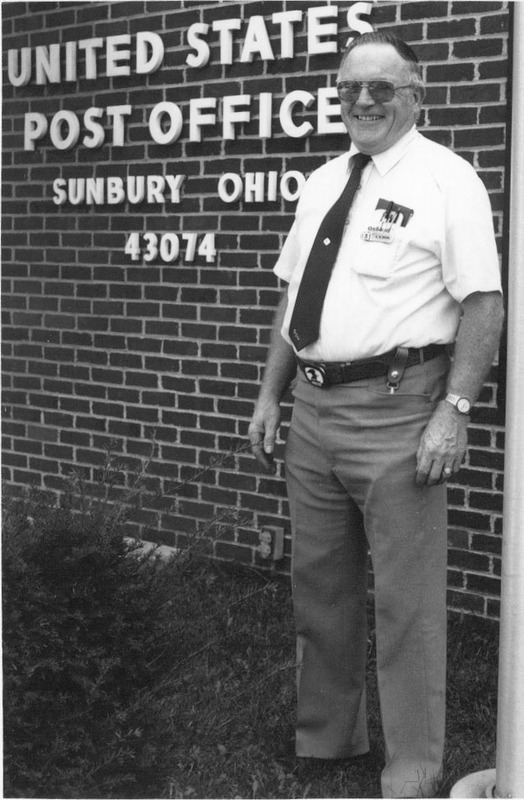 In July 1897, under President McKinley, E. L. Gill was named postmaster for Sunbury. Before fall Postmaster E. L. Gill had a route laid out and driver to deliver mail to rural customers and saw no reason to wait several more months until the designated starting date the United States Post Office was to deliver mail throughout the country. Thus Sunbury became the first post office to offer R.F.D. (rural free delivery) in the nation. John Longwell carried the pioneer Buckeye mail route - sometimes in a horse and buggy but about half the year on horseback and even now and then on foot. His salary was $400 per year. He did not last long on the route and so Matthew Geddis followed him. E. L. Gill's son, Roy Gill, Delaware County Welfare Director in 1961, told Dan Clancy of The Columbus Dispatch, that a lot of merchants objected to the rural mail delivery arguing it would hurt business because farmers wouldn't have a frequent excuse for coming into the village. Rural Free Delivery was so popular in 1901 two more routes were added. Douglas C. Gorsuch had Route 2 and Arthur M. Culver Route 3. In 1902, Routes 4 and 5 were added. John Domigan carried Route 4 and Oatfield Whitney Route 5. In 1903, the five mail carriers posed for a photo in front of the Sunbury Post Office located at the northwest corner of Vernon and Cherry Streets. In 1906 Route 5 was moved from Sunbury to Condit. Oatfield Whitney was offeref the job but turned it down. Ezea Gill continued as postmaster until 1912. The mail came into town on the train. The railroad used hooks by the track to catch the bags of mail rather than stop the train. The mail was then sorted for surrounding communities. 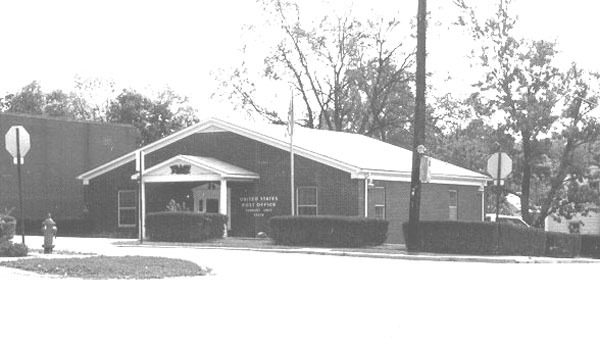 Each little community had its own post office: Condit, Cheshire, Center Village, Berkshire, Harlem, etc. 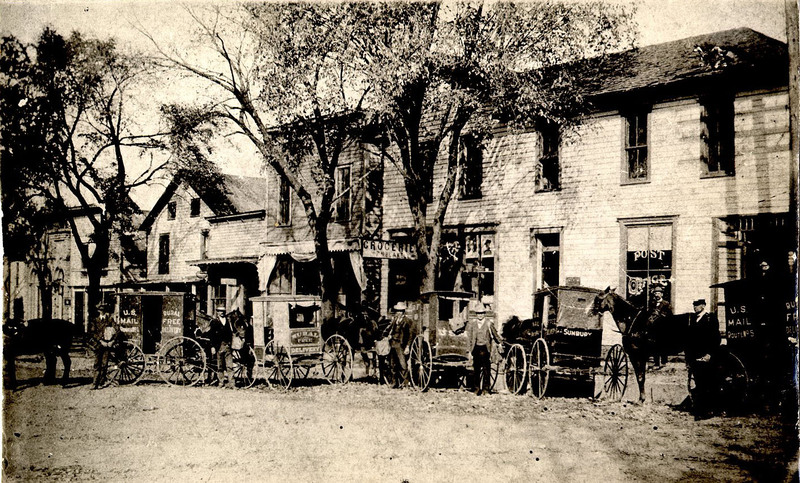 These slowly merged into Galena and Sunbury as the postal service consolidated for better efficiency. Following the fire if the frame building in 1927, the post office moved to the Cupp building on the east side of the square then to the block building on the south side of Cherry Street later to house the Blue Door Antiques. In 1941 the United States Post Office began using buses known as Highway Post Offices to move the mail. 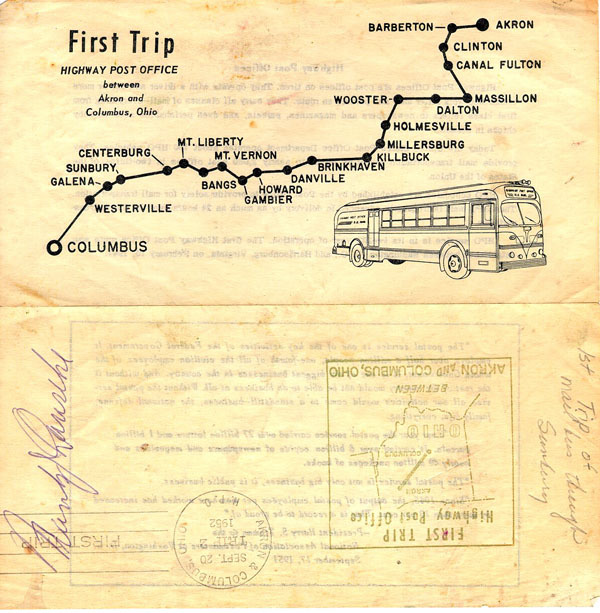 Eleven years later the First Trip of the Highway Post Office between Akron and Columbus was September 30, 1952, which was to serve Sunbury and Galena. Each bus had a driver and one or more clerks to sort the mail and parcels while the bus moved from community to community. Condit Route was moved back to Sunbury. 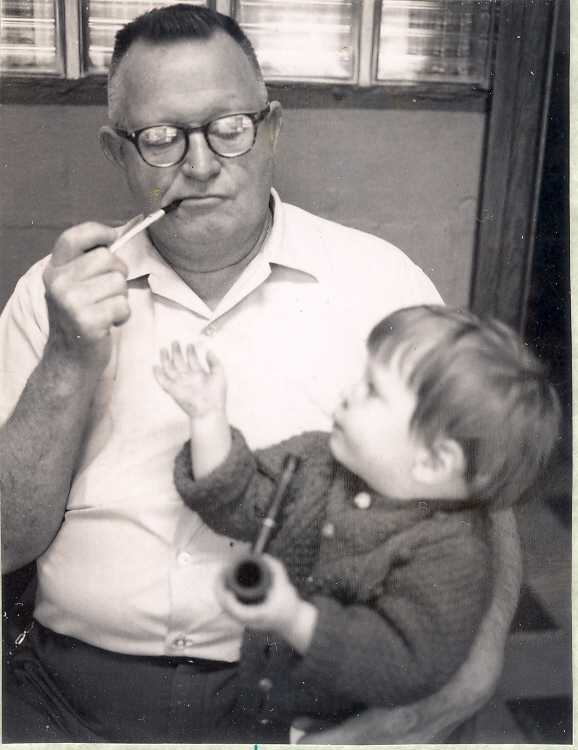 I remember working for the post office during holiday break from college in the late 1950's when Post Master Hoyt Whitney (son of former posrmaster Oatfield Whitney) answered every child's Santa letter and then worked late on Christmas Eve to hand deliver gifts which came in after carriers had made their rounds. In the spring he frequently made special deliveries of live chicks ordered through the mail or carried a letter to a mother from a serviceman. 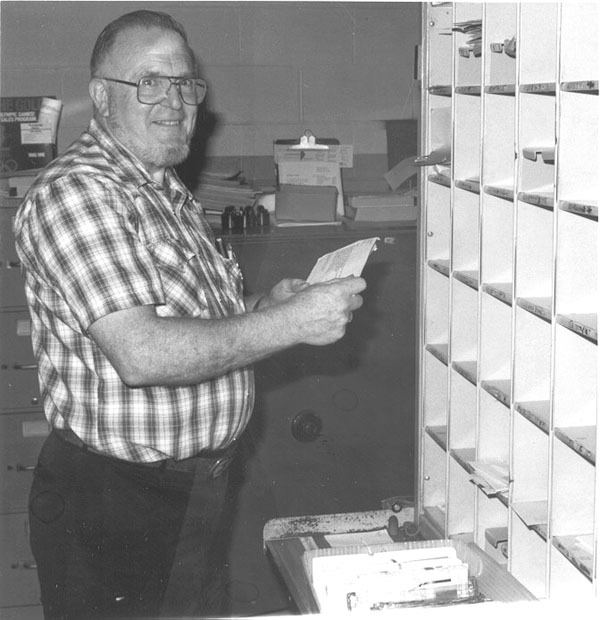 The Post Master was an important part of the community. Remember Bill Smith and Ken Crowl. Whitney tried to get a new post office but had to move into the store front on Vernon Street until the post office was built on the southeast corner of Vernon and Granville Streets. It was finished in 1975, three years after Whitney's death. Trucks replaced the buses and mail was no longer sorted en route but was presorted in each post office and bagged according to destination. Mail between Sunbury and Galena had its own bags and was dropped off at the right post office. In 2002, a new post office facility was opened on Granville Street. Galena rural routes and Sunbury routes go out of the same building. Mail to Galena post office boxes is still delivered in Galena. Now mail is not sorted in the local post office but taken into Columbus and sorted by machine using the zipcode and is sent out from there. Local mail returns to be delivered the next day. Mail is still delivered to homes in town and in the country. It may be faster but how many know the Post Master's or even their carrier's name?